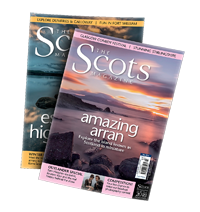 Standing sentinel atop a rocky outcrop overlooking the Sound of Mull, Duart Castle viewed from the Oban to Craignure ferry is matched by few other sights in Scotland. Just like it’s much photographed cousin, Eilean Donan, Duart Castle stood in ruin for around 200 years until the 1910s, when Sir Fitzroy Maclean, then chief of the Clan Maclean, undertook extensive repair work. Unlike Eilean Donan, however, the works done at Duart did not attempt to create a new castle from scratch, and were instead modeled closely on 18th century surveys. Desiring to restore Duart as a clan seat and family home of dignity, Sir Fitzroy’s efforts were a resounding success. The ancestral home of Clan Maclean for over 600 years, the castle was one of several at the heart of the old Gaelic Lordship of the Isles. In the 12th century Somerled, a Norse-Gaelic warrior chief, and his progeny forged a kingdom within a kingdom stretching from Skye in the north to Kintyre in the south. An earlier castle on the site was a stronghold against Norse incursions from the 10th century. Scotland, however, wasn’t big enough for two kings and centuries-old tensions reached boiling point in the late 15th century culminating in the dissolution of the Lordship. 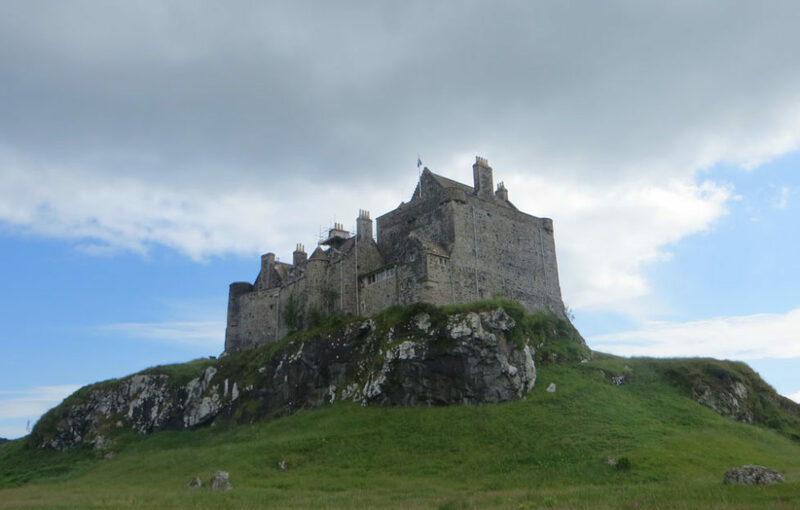 This was but one chapter in the history of the Western Isles in which Duart played a key role, with an earlier castle on the site serving as a highly strategic stronghold against Norse incursions in the 10th through 13th centuries. Duart Castle forms part of what can be called Scotland’s “Castle Corridor”, a network of fortifications stretching from Dunollie on the fringes of Oban to Mingary at Ardnamurchan Point. Beacons were stationed at each of the eight castles on either shore of the Sound, allowing for rapid, miles-long communication between them. Today several remain visible and explorable including, in addition to Duart, Dunollie and Mingary, the delightfully wild ruins of Ardtornish and Aros castles. If you’re seeking adventure, a tour of the Castle Corridor with Duart as the centrepiece would satiate even the most explorative of souls. 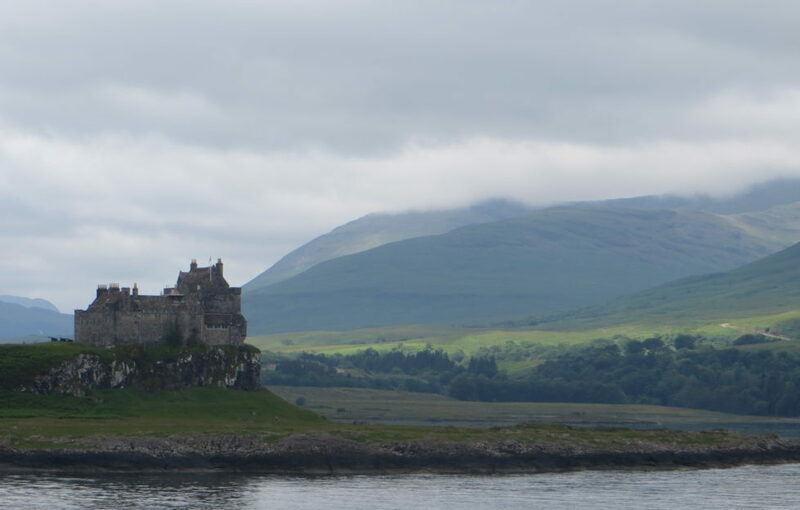 Duart Castle is about two miles from Craignure on Mull, where regular ferries from Oban drop you off. 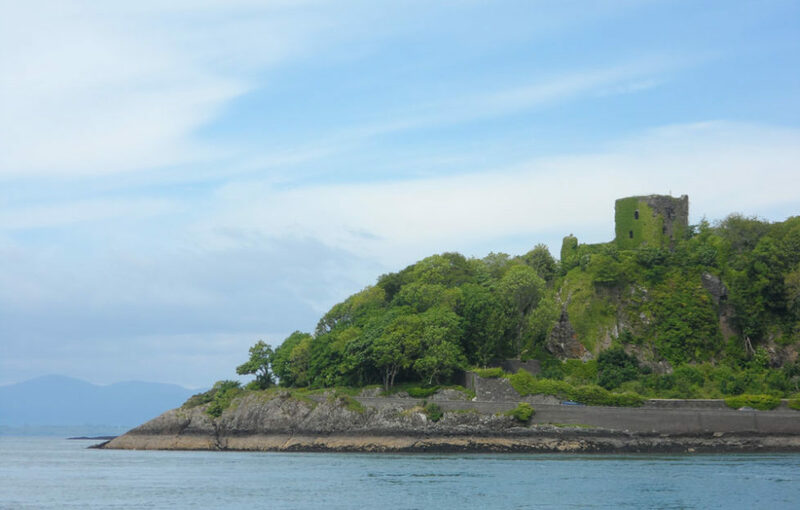 Make sure you’re on the observation deck on approach to Mull – the view of the castle is jaw-dropping. A ferry from Fishnish, with Aros Castle nearby, brings you to Ardtornish Castle. A ferry from Tobermory crosses the Sound to within walking distance of Mingary Castle.